Doug Cook holds a 6th Dan Black Belt in the Korean martial art of taekwondo and is certified as an instructor and in rank by the United States Taekwondo Association and the Kukkiwon. He is a six-time gold medalist having frequently participated in the New York State Championships and the New York State Governor's Cup Competitions. Master Cook has trained in Korea on multiple occasions and currently administers training and cultural tours to the homeland of taekwondo. He holds a D3 status as a US Referee and has received high honors from Korea in the form of a "Letter of Appreciation" signed by World Taekwondo Federation president, Dr. Un Yong Kim. In 2003 Master Cook was awarded the Medal of Special Recognition from the Moo Duk Kwan in Seoul, South Korea. In 2004, while attending a training camp in Korea, Master Cook received a Special Citation from the Korean government for forging a stronger relationship between Korea and the United States through the martial arts. A six-page interview featuring Master Cook appeared in the May 2005 issue of TaeKwonDo Times focusing on taekwondo philosophy and his views on the role the martial arts will play in the twenty-first century. In June 2006, he was inducted into the Budo International Martial Arts Hall of Fame as "Taekwondo Master of the Year". In 2007, Master Cook was invited on several occasions to speak as a guest lecturer at the University of Bridgeport in Connecticut, the only institution of higher learning in the country to offer a major in the martial arts. Master Cook was recently listed in Black Belt magazine as one of the Top Twenty masters of the Korean martial arts in America. In 2009 he was invited to speak at the prestigious Korea Society in New York City and will appear in Legacy, an upcoming television documentary centering on taekwondo, scheduled for release in 2013. Master Cook recently appeared on the cover of Totally TaeKwonDo magazine, an issue that also featured an eight-page in-depth interview. He was inducted into the TaeKwonDo Times 2011 Hall of Fame as "Writer of the Year". Also in 2011, at a ceremony honoring Grandmaster Richard Chun, he was again awarded a Special Recognition Award from the Moo Duk Kwan in Korea. In the same year, Master Cook received a Special Citation from the Ambassador of South Korea at the nation's embassy in Washington, DC, in recognition of his editorial contributions to taekwondo and was interviewed by ABC-affiliate, Univision regarding the 2012 Olympics. In 2013 he was inducted into the Legends of the Martial Arts Hall of Fame as Taekwondo Master of the Year and was again interviewed and appeared on the cover of Totally TaeKwonDo magazine. Master Cook is credited with the creation of the Chosun Women's Self-Defense Course. He has also provided training for the US Army National Guard/42nd Division prior to military operations and has instructed agents from the Department of Homeland Security, the New York Police Department and the Bronx County Sheriff's Department. Master Cook was called upon to demonstrate taekwondo as part of a three-man team at the annual Oriental World of Self-Defense held in New York City's famed Madison Square Garden. There, he and the team were cheered on by martial arts legends such as Richard Chun, Henry Cho and Chuck Norris. Because he is a traditionalist, Master Cook places great emphasis on the underlying philosophical principles and self-defense strategies surrounding taekwondo. He demonstrates this belief by infusing meditation, breathing exercises, a strong attention to basics, and the practice of the classical forms, or poomsae, in his instructional methodology. Aside from continuing his martial arts education under the tutelage of world-renowned, 9th Dan Black Belt Grandmaster Richard Chun, Master Cook owns and operates the Chosun Taekwondo Academy located in Warwick, New York – an institute specializing in traditional martial arts instruction and Ki, or internal energy, development. 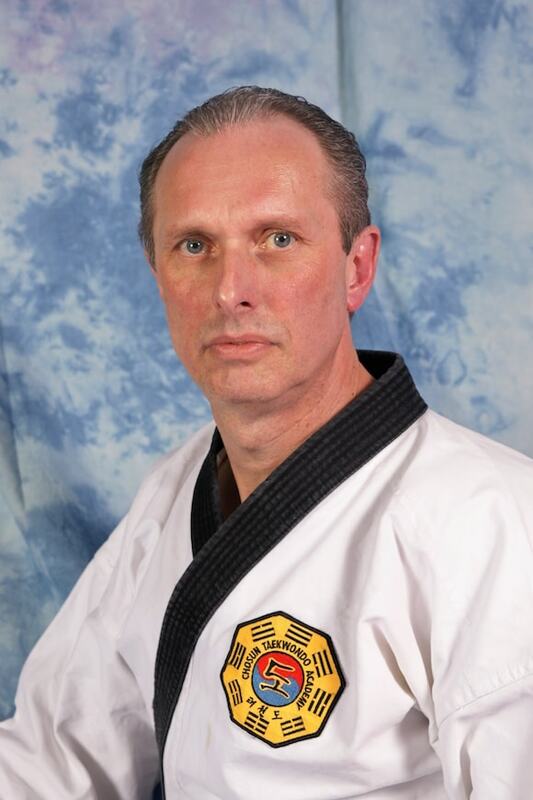 Master Doug Cook currently shares his knowledge of taekwondo through a series of articles he has written for Tae Kwon Do Times, Black Belt, Totally TaeKwonDo and the United States Taekwondo Association Journal, as well as various other martial arts publications. For the past twelve years he has written a monthly column for TaeKwonDo Times called Traditions. Master Cook is the author of four best-selling books focusing on taekwondo entitled, Taekwondo: Ancient Wisdom for the Modern Warrior, Traditional Taekwondo – Core Techniques, History, and Philosophy, a finalist in ForeWord magazine's Book of the Year Award, Taekwondo – A Path to Excellence, released in 2009, a USA Book Award finalist, and Taekwondo Black Belt Poomsae: Original & Kukki Koryo, authored in partnership with Grandmaster Richard Chun. All editions are published by YMAA of Boston and are available online and at booksellers throughout the world. Master Cook can be reached at info@chosuntkd.com or at www.chosuntkd.com and is available for seminars, workshops, book signings and lectures.